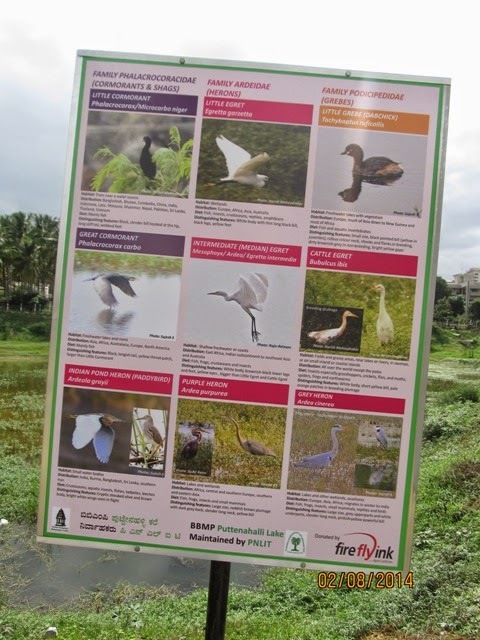 It surprises even us that from 2010 when rejuvenation of our Puttenahalli Lake began to now, the number of birds spotted in and around the lake exceeds well over 70! Only a few of these are resident, the others come and go as they will. Our task is to ensure a safe environment, inflow of only clean water, that the lake is well stocked with fish, to plant trees that give them fruit or can be used for nesting or perching. Imagine seeing birds such as the endangered Woolly-necked Stork, Bay-backed Shrike, Asian Openbill Stork, the shy Jacanas (Pheasant tailed, Bronze), the migratory Garganey ducks and more in a little lake located between high rise buildings!! 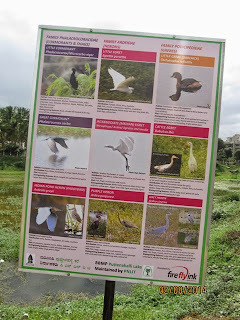 Each sighting gives us great pleasure which we want to share with everyone who comes to the lake (and those who don't - hence the Bird Watch mails!). You can also see them on our website here. 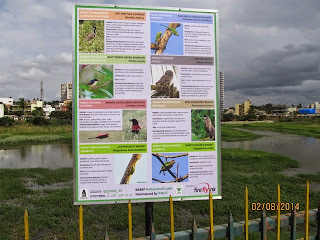 To facilitate identification of the several bird species, with the sponsorship of the Rotaract Club of Bangalore, a couple of years ago, we had installed huge boards at various points with photographs taken by our PNLIT Shutterbugs. 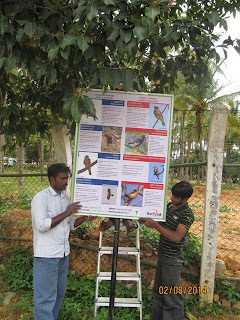 Exposure to the elements had caused the boards to fade and we were looking to replace them. Farhana and Ritesh have come forward to help us out. Through their their reputed company Firefly Ink which offers large format digital printing, they got the boards reprinted and installed last Saturday. 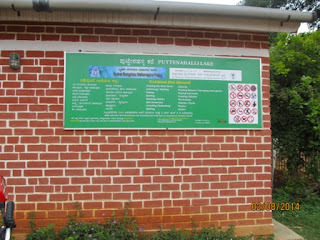 We took advantage of their generosity to get signs showing "Dos and Don'ts," "No Smoking," "Snake Alert," etc. made as well. Heartfelt and many, many thanks to Farhana, Ritesh and to Firefly Ink. 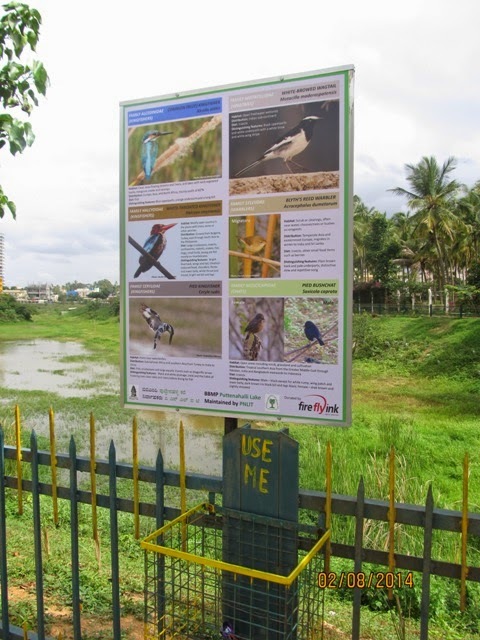 If you would like to extend similar support to this unique avian bird habitat in our neighbourhood, please note that our fund donation drive is now on. Details regarding how to make a donation are given on this link - How you can Help. If you'd like us to make a presentation to your CSR unit, we'll be happy to do so. Drop a mail <puttenahalli.lake@gmail.com>.